Thanks to John-Bryan Hopkins I knew that it’s Italian Food Day today. By accident I planned already an Italian dish today, called “linguine con Mozzarella di Bufala, pomodori secchi, prosciutto e basilico”. 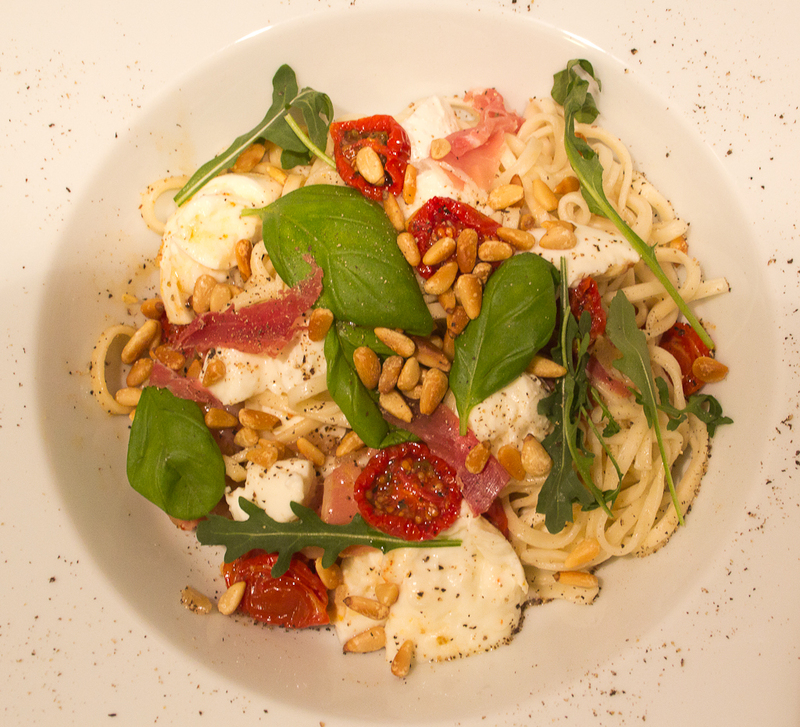 Translated to English this dish is called “linguini with buffalo mozzarella, sundried tomatoes, prosciutto and basil”. What do you need? 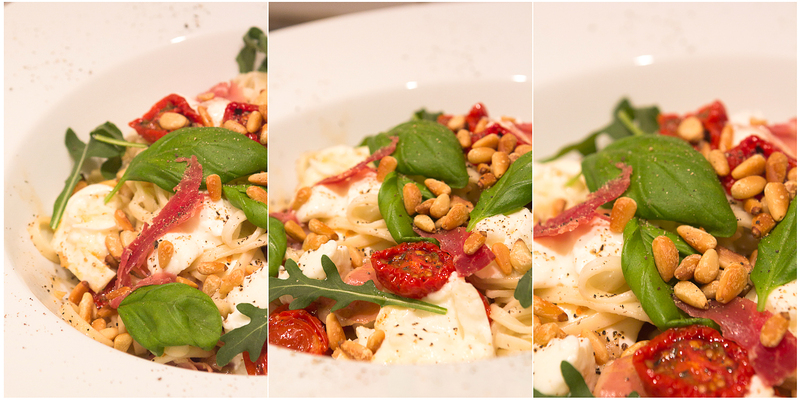 (2 persons) 300 grams of linguini, 2 buffalo mozzarella balls, a hand full of sundried tomatoes, 3 slices of proscuitto, a hand full of fresh basil, olive oil, pepper, salt, rocket salad, a shallot, a hand of pine nuts. What do you do? Roast the pine nuts. Boil enough water and cook the pasta. In the meanwhile, chop the shallots and fry them in a bit of olive oil. 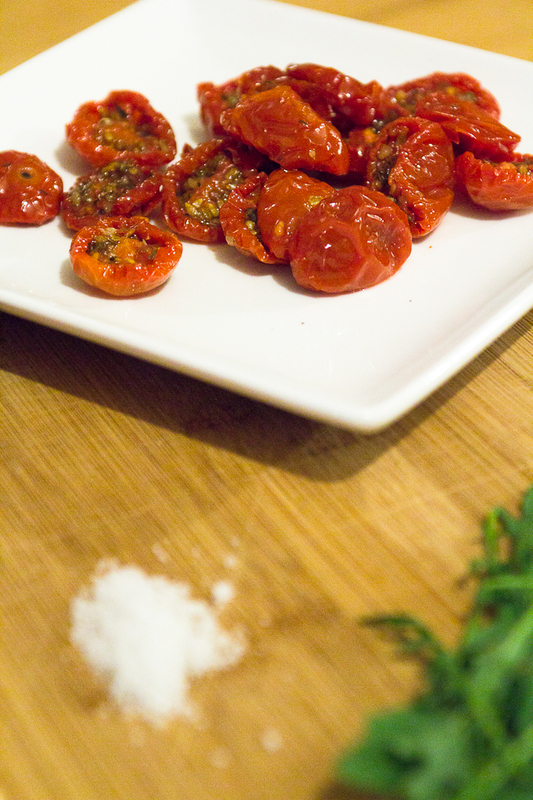 Add a bit of the sundried tomatoes, proscuitto and the pasta. Don’t forget to add the pepper and salt. Add a part of the mozarella and stir it shortly. Put it on plate and finish with the rest of the proscuitto, mozarella, sundried tomatoes. Finally add the rocket salad, pine nuts and basil. A short recipe, but a great taste. Buon appetito.